Flying Solo Tee Design Review. 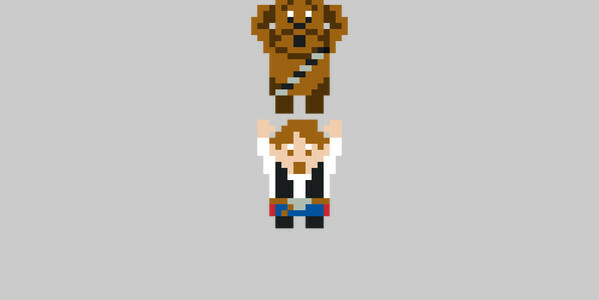 The Flying Solo tee design is for the Star Wars and The Legend Of Zelda fans. The concept for the Flying Solo tee is actually very funny. 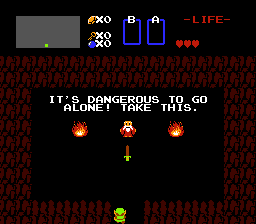 It is a parody of The Legend of Zelda "It's dangerous to go alone take this." (shown below) where Han Solo holds up Chewbacca like Link holds up his sword. It is goofy as Hell but it is true to a point. Han needs the wookie. Chewbacca has always had Han's back and fans could argue that Han wouldn't last solo. As for the artwork, it is very simple and pixelated in the same style as the original NES game. The colors are good for what it is. Although choosing a contrasting background that shows both the characters and the font well without losing body parts into obscurity is a bit daunting. Some scenery would had improved this some, to be more like the Legend of Zelda screen shot. The Flying Solo is for all Link and Han fans regardless of age. It doesn't get any more old school than this. Flying Solo Tee Design by oakenspirit. Hard Adventure Tee Design Review. 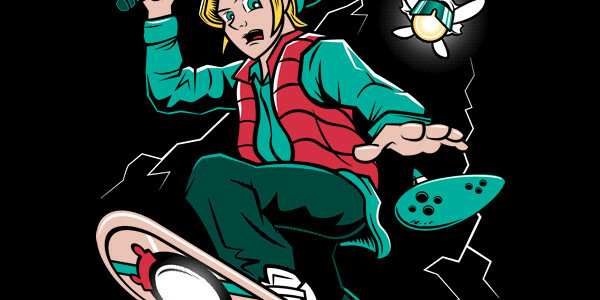 The Hard Adventure tee design is for the realists and The Legend of Zelda fans. The concept is based on the fact that Link from The Legend of Zelda video game series obtains a bunch of items during his quest. However, you never see him carrying this massive inventory. No magic bag of holding... nothing. Here Navi flying is above him, useless as always, as he carries: The Master Sword, Hylian Shield, Pegasus Boots, Health Potions, Quiver and Bow, Sling Shot, Bombs, Ocarina of Time, Hookshot, Fishing Pole, Net and the Magic Hammer on his back. And those are just the items that we can see in this design. In the games there are even more items. While this isn't the first design to play on this concept it is one of the best ones as far as the artwork. As for the artwork, its coloring area bit dark and I guess be classified as "muddy". This adds to the vibe of struggle. This is typical of Vinsse's work. The shading is just as dark and gritty. The illustration is worthy enough to be featured in the Zelda games themselves. People will laugh and feel sorry for Link at the same time. This Hard Adventure tee will make a nice gift for any Legend of Zelda fan and it is a good gaming shirt that is bound to get some laughs. Hard Adventure Tee Design by Vinsse. Fried Cuccos Tee Design Review. The Fried Cuccos tee design is for the Americana and Memorabilia collectors that are also fond of The Legend of Zelda video games. It brings the two worlds and eras together creating something somewhat nostalgic. KFC would had made more sense but that parody or mashup has been done already numerous times. So a little overlooking is needed to appreciate this tee. 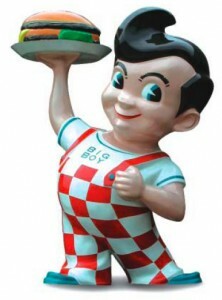 The concept is to have Link while holding up a fried chicken leg while standing in the famous Bob's Big Boy burger chain's Big Boy pose shown below. Of course we all know the cuccos are nothing to mess with and Link could never ever end up killing one. This is more of a wishful thinking type of design. As for the artwork, it is clean and simple. The coloring is appropriate for being a Link themed tee. the character likeness is good. There is no shading and it really isn't needed. Link looks a little scuffed up with some facial blemishes and feathers in his hair. Probably from fighting the Cuccos. This Fried Cuccos tee will make a great for any Zelda fan, especially if they happen to like Bob's Big Boy. This is a fun design to be worn at any setting or event. 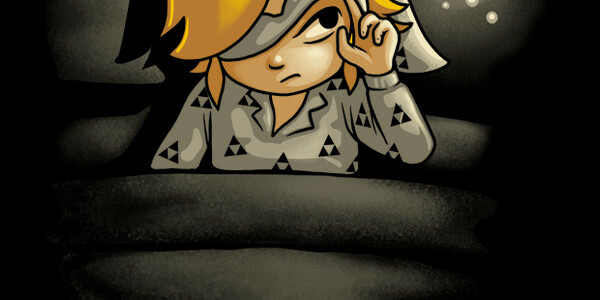 The Insomnia tee design is for the Legend of Zelda fans that really find Navi annoying. The concept is that Navi continues to annoy Link even if she is not saying anything, such as when he's trying to get some sleep. Although she looks like she is getting ready to say something because why else would she be there when he is sleeping? Unless she is a creep. This is strong evidence that she is. As for the artwork the coloring is nice with the a typical fade to black night theme. Which brings us to the shading that turns the shirt into Link's blanket. A nice wrinkle effect and illusion showcasing Naolito's skill as a designer. The expression on Link's face is accurate and relatable given the situation. It shows the mix of being tired and irritated. He is probably wishing that he had a fly swatter right about now. This is good gaming shirt that will make people laugh and it is a good conversation starter for Legend of Zelda fans and insomniacs. Insomnia Tee Design by Naolito. The Real Hero Tee Design Review. The Real Hero tee design is for the Legend of Zelda fans that take the game a bit too seriously. 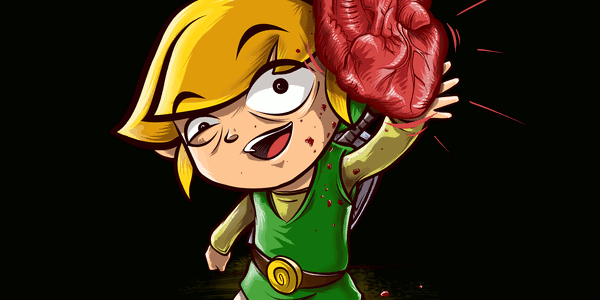 The concept is that Link is holding up a vascular heart instead of the typical heart symbol shape that he collects and uses for his health meter. As for the artwork, it is colorful and well done. The only part that seems off is the hair and eyebrows, particularly concerning the fully opened eye. But that's what happens when you give a cartoon floating Cap N' Crunch style eyebrows. The shading is not 100% consistent but it looks good, especially on the heart. Not bad at all for a psychotic Link. This is a demented but funny Zelda themed tee that fans of the Legend of Zelda franchise would like, at least the ones with twisted senses of humor. 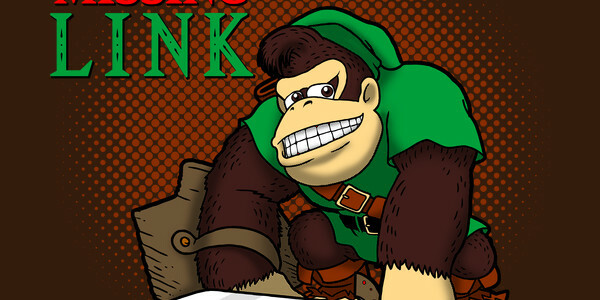 This is good gaming shirt that is meant to make Link's fans laugh and possibly cry. The Real Hero Tee Design by Alberto Arni. I Need More Pots Tee Design Review. 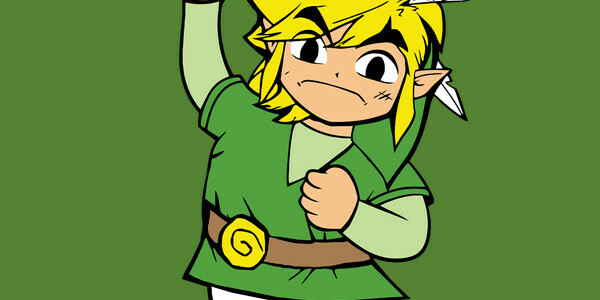 The I Need More Pots tee design shows Link at his most vulnerable moment. 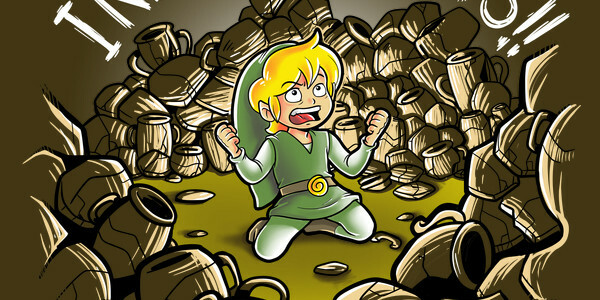 He is a hoarder, surrounded by pots. He wants more, you could call him a pot head. Can you blame him? Smashing pots is fun. The concept is funny but obvious. Link has many odd quirks that make him the lovable hero of time. But one of the quirks is something that most of Hyrule must hate with a passion. His selfish obsession for smashing pots. Sure he gets loot but what of his morality? Breaking and entering, vandalism, larceny... he's almost as bad of an influence as that druggie Mario. The theme of clay pots has been used for Link/Zelda tees almost as much as the color Green. This one has a lot going for it as for design and gag variation. However, there should be more spacing between the words. Especially since the text is written in all caps. As for the artwork, it is balanced, clean and well drawn. The colors are bright, the shading is good with central lighting. The character expression is the same as the Castaway "WILSON" or the Planet of the Apes "Statue of Liberty" moments. It fits the theme theme perfectly. This is a relatable tee that fans of the Legend of Zelda franchise would like. I Need More Pots Tee Design by trheewood. Hyrulean Science Tee Design Review. The Hyrulean Science tee design is for the science nerds and the Legend of Zelda fans. Be it Chemistry or Alchemy there is wizardry going on here. The concept is smart and funny at the same time. Since there are only 3 forces or elements that matter in the Hyrulean world, the Triforce is like a simplified periodic table even if it doesn't have traditional atoms or even a mention of RGB pixels as the building blocks for all virtual matter in Link's universe. But never mind that, check out the Master Sword "scalpel" or Master Scalpel. Obvian's own design description is worth reading too. In the words of the brave Hyrulean scientist who plotted out the periodic table of (three) elements: "Haaa! YAAAAA! Haaa. Huuraaagh!" As for the artwork, its coloring and shading are as professional as it gets. There is awesome balance and weight to the design, as you can see the dark background stuff is at the bottom and the Triforce and Yellow potion are bright and held high. The "background stuff" are Game elements that are included in the background as design elements. Damn this tee has all kinds of meanings for "elements" included for our entertainment. This Hyrulean Science tee will make a nice gift for any Legend of Zelda fans. This is a good gaming tee that is bound to get some laughs. Hyrulean Science Tee Design by Obvian. Blowing Bits Tee Design Review. The Blowing Bits tee design is for everyone that owned an original NES (Nintendo Entertainment System) that played The Legend of Zelda games and who blew into the cartridges to clean the connectors in order to make the games work. The concept is good and fitting being based on a Nintendo franchise character. Having Link play a cartridge like his famed Ocarina is sadly funny and cute at the same time. "Sad" because it was very much advised to not blow into the cartridges. Yet everyone did and or does it. IT WORKS. That's all that needs to be said on that matter. As for the artwork, the colors and shading are nice which is to be expected from Naolito's designs. The layout is balanced well consisting of colored square design elements representing musical notes, magic and or debris and Navi on the opposite side. The implied (air) flow is consistent as his hat, hair and breath flow in the same direction. Which are details that most people would neglect. The focal point is of course the NES cartridge which bares the Triforce on its sticker. Personally, I would prefer that the cartridge be GOLD in color like the Legend of Zelda games being a Zelda inspired tee but to each their own. This Blowing Bits tee will make a nice gift for 80's Nintendo and Legend of Zelda fans. 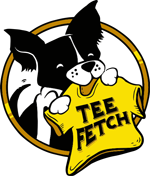 This is a lighthearted t-shirt that fits in anywhere, especially Comic-Cons. Blowing Bits Tee Design by Naolito.